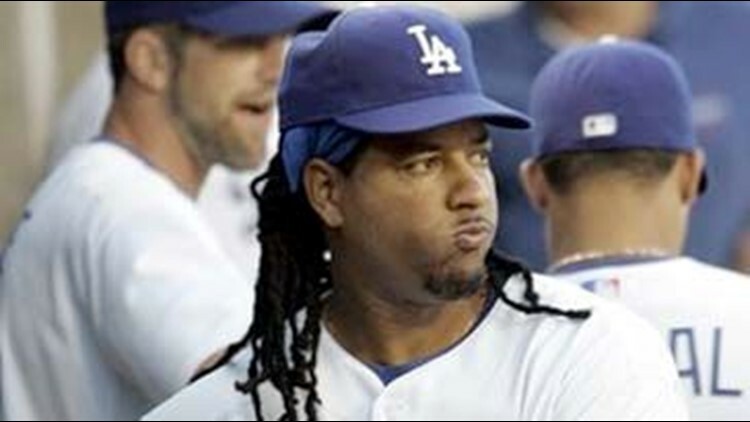 MIAMI (AP) - All-Star outfielder Manny Ramirez apologized to his Los Angeles Dodgers teammates on Friday after being suspended for 50 games for using a banned drug. The brief meeting was at the team's waterfront hotel in South Florida before the Dodgers left for the Florida Marlins' stadium to start a three-game weekend series, Los Angeles third baseman Casey Blake said. Ramirez lives near the Marlins' stadium but was not expected at the ballpark this weekend. "He knows he made a mistake. I forgive him," Blake said. "It's his business." Ramirez was suspended on May 7. Dodgers owner Frank McCourt met with him twice last weekend in Los Angeles and encouraged Ramirez to apologize to teammates "eyeball to eyeball." That opportunity came on Friday, when the Dodgers saw their teammate for the first time since the suspension. "I don't think anyone was really looking for" an apology, Blake said. "It was something he wanted to do and I think it was heartfelt." Ramirez spoke for a few minutes, and teammates - other than greeting him and shaking his hand - did not ask any questions, said Blake, who declined to say what words Ramirez specifically used. "I think it was kind of a big load off his shoulders just to greet the team again," Blake said. A person familiar with the details of the suspension said last week that Ramirez used the female fertility drug HCG (human chorionic gonadotropin). HCG is popular among steroid users because it can mitigate the side effects of ending a cycle of the drugs. Ramirez has said he did not take steroids and was given medication by a doctor that contained a banned substance. A 12-time All-Star, Ramirez played in 27 of the Dodgers' first 29 games, batting .348 with six homers to help them get off to their best start since 1983. The Dodgers lost four of their first five games after Ramirez was suspended, but they still lead the National League West. Baseball writer Ronald Blum contributed to this report.